Truly Luxe is a personal concierge services company. They offer their clients with 3 core services; Personal concierge, Lifestyle management and Corporate concierge. Their Personal concierge services cater to each individual specific needs, including not limited to the day to day errands services and home services. Their Lifestyle management services offer travel arrangements, event planning, sourcing tickets for sporting events, concerts etc. and their Corporate concierge is tailored towards corporate needs, wherether rewarding staff members, staff retention, corporate gifting and customer loyalty rewards. FPS Media was tasked with doing a complete Rebrand of the Truly Luxe brand and also with Designing and developing a Content Management System that followed the new brand identity. Our aim was to focus on Truly Luxe’s target market while effectively communicating their culture and values. Our team made sure that their brand carried out the same message from their digital presence to their services on offer. For their website we made sure the user interface was clean and concise to effectively reach their client’s target market needs. It was also imperative to showcase Truly Luxe’s full range of services ensuring that their clients fully understand the services while supplying informative content on how their clients can get ahold of their best deals. Due to 80% of website visitors browsing the web through their phones and tablets all FPS Media websites are 100% responsive and fluid. We follow a mobile centered approach while designing all websites. This ensures that visitors that use our cleints websites have a great user experience regardless of which platform their using to browse websites designed and developed by FPS Media. 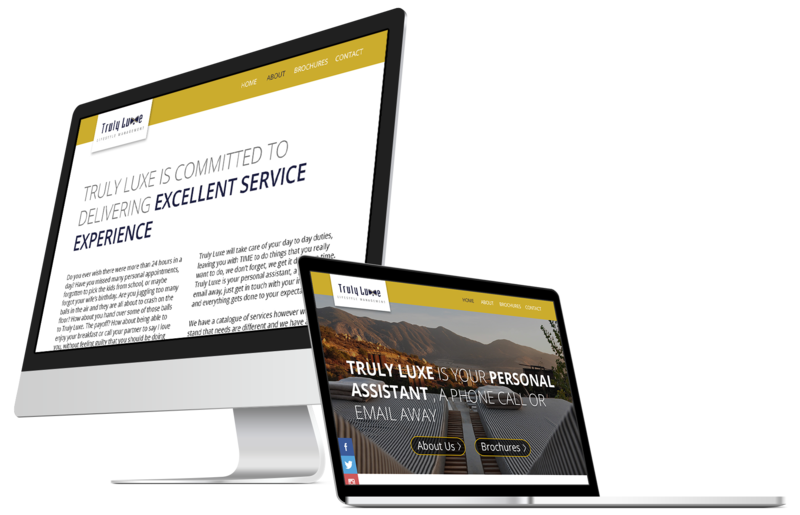 Truly Luxe’s website was no exception to this process, We throughly tested their website on all major screen sizes in all directions (Portrait and Landscape) before delivering the final product.